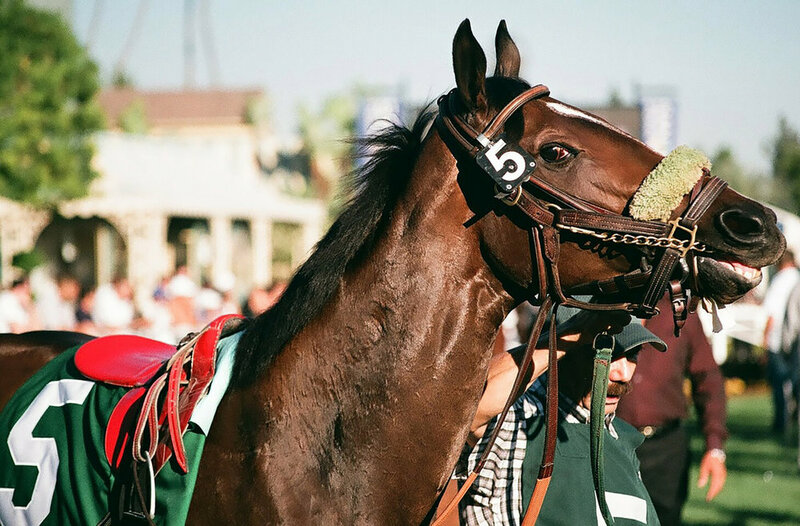 Winston Churchill once declared polo to be a “passport to the world.” But you don’t have to venture further than Newport to take in all of the amazing equestrian action offered by this centuries-old sport thanks to the Newport International Polo Series. Now entering its 26th season, this annual event offers plenty of unparalleled international entertainment. After all, it’s not nicknamed the “Sport of Kings” for nothing. While the Newport International Polo Series may have just passed the quarter-century mark, Newport’s rich legacy of polo dates back much further than that -- all the way back to the late 1880s, when the country’s first polo club, the Westchester Polo Club, opened its doors to the region’s rich and famous summer frolickers. But the sport of polo is actually older than recorded history, as historians believe that Central Asia’s nomads played an early incarnation of the galloping game while training for war. And while the modern polo we know and love today may be very different, it’s still packed with plenty of pony-trotting adventure. Every year, teams and spectators from around the world flock to Newport for the competition. In addition to exhilarating matches, attendees can also enjoy themed “Apres Polo” events, like the Machu Pulu Peruvian Polo Dinner, a culinary feast following the USA-Peru face-off, featuring signature Peruvian dishes, music and dancing. And did we happen to mention that you’ll be dining under the polo tent and around the fire with the teams? But that’s just the start. From traditional Argentinian lamb roasts to charity balls with Latin flavor, the fun begins with a Cocktail Kick-Off Party on June 2 and continues throughout the summer before culminating with The Finals at September’s end. 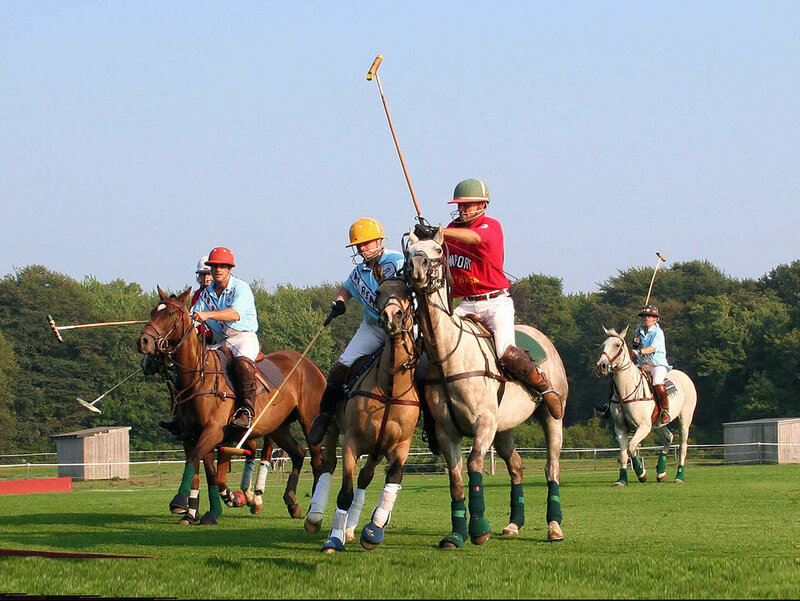 And why settle for just by-standing when you can get in on the mallet-whacking action for yourself thanks to the Newport Polo Club's celebrated polo training program suitable for everyone from beginners to advanced players? While Julia Roberts may have needed a trip to Rodeo Drive to outfit herself for her day at the matches, Newport Manners advises that dressing for polo doesn’t have to be complicated, and can include everything from mid-calf length dresses to denim for women. One tip? To avoid adding some spills to your thrills, skip the spiked heels and go for wedges instead. Polo style for men is also about combining style and comfort. Menswear designer Dom Bagnato told Executive Style, “The key rules for assembling a polo outfit are to take into consideration the day. It's a fun day, it's a sporting day - so comfort is a big thing, a big consideration. As is making sure your outfit suits your personality. I think it's really important to be always dressed in a way that says a lot about your personality - so that's important in reference to polo because it's a relaxed day and you'll be in a more relaxed frame of mind." Feel like buying something new, meanwhile? You’re in luck. Newport’s charming boutiques are full of fashionable, polo-friendly finds. This year, we’re especially excited to announce The Chanler’s new partnership with Newport Polo. Not only are we officially sponsoring the August 19th contest versus Jamaica, but guests staying weekends with us throughout the polo season will receive two tickets to a polo match during their stay. So don your straw hat, grab your lawn chairs and pack a picnic -- or even better, let The Spiced Pear pack one for you -- and get ready to get your polo on.